Healthy, Fit, and Focused: Coming Soon...Insanity MAX 30 Test Group! 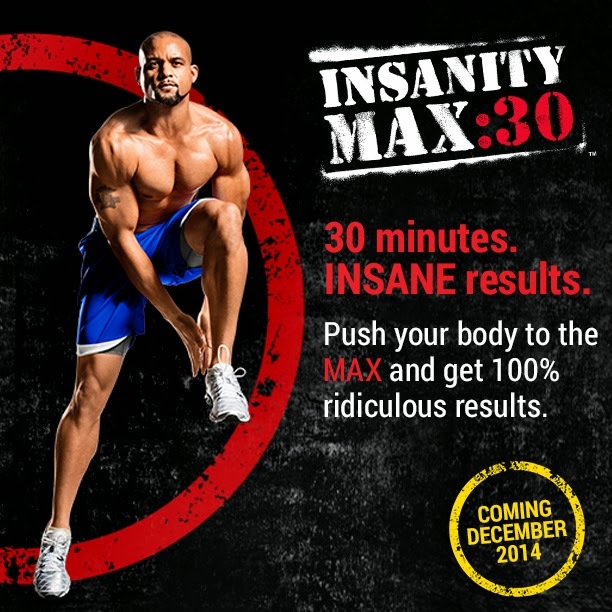 Coming Soon...Insanity MAX 30 Test Group! I'm super excited for the launch of the newest Beachbody fitness program. I love Shaun T and T25...I've thought about doing Insanity a few times but honestly, I don't like the fact that it's more than a 30 minute workout! Seriously, don't like that part. Sooo...When I found out about the new Insanity Max 30 that's coming out on December 2nd I was absolutely stoked about it! Can it get much better than this?? I have been wanting to bump up my intensity a bit with my workouts and I went back to T25 for a little bit...but, that's just to get me through until this one comes out in a couple weeks! Click to be Added to Email List! Now, Insanity MAX:30 going to be HOT!! Insanity has been wildly successful over the last 5 years and this is going to be even hotter! What's the hype all about?? For starters, it's only 30 minutes each workout!! It’s more intense than Focus T25 and the workouts are a different format as compared to Insanity. Here's how it works... there is a timer at the bottom of the screen that shows the clock of your workout. YOUR GOAL is to go as long as you can in the workout with great form. You want to reach your MAX (hence MAX:30). You may only make it 1 minute or 3 minutes or 5 the first time. Then, you will make a note of that time on your paper as you take a breather. Your goal is to keep pushing to your max every workout so that you can make it farther and farther each time. The workout Sweat Intervals is a Tabata Style Workout where you’ll do 20 seconds on and then 10 seconds off so you are getting a bit of a recovery. And the last workout I have information on is Friday Fight. This is 30 Minutes of PURE CARDIO! The workouts require no equipment. You’ll just be using your own body weight. When Will Insanity MAX:30 be Released?? Do you want it FIRST?? 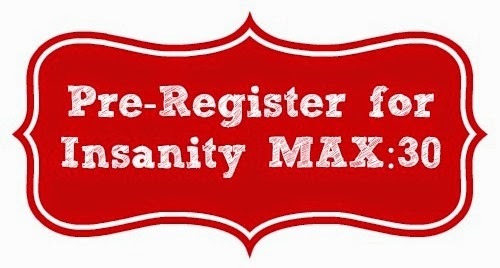 Do you want to be a part of my upcoming Insanity MAX:30 Test Group?? 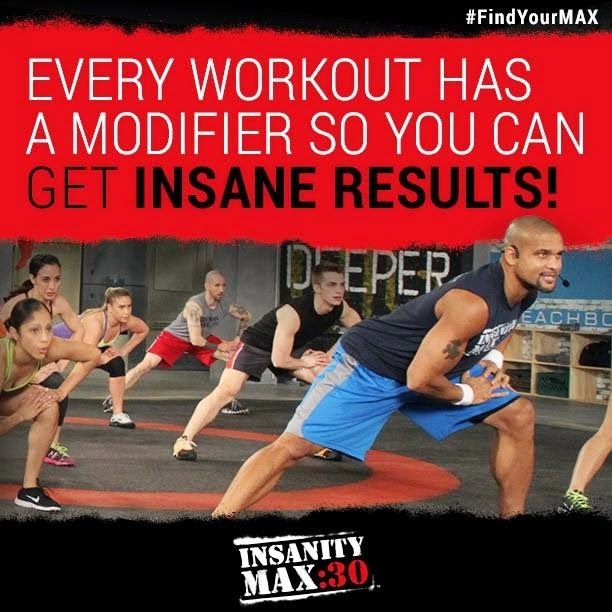 EXCLUSIVE INSANITY MAX:30 TEST GROUP!! An Insanity MAX:30 Test Group is a group that is unique to my style of coaching. It is a closed online accountability group in which everyone will submit their results to Team Beachbody for a chance to win the monthly and quarterly prizes plus you will have the opportunity to be one of the first people to complete the program and share your proof that transformation is possible if you follow the schedule, stay committed and are dedicated to your success. 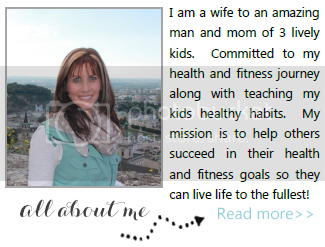 5 Day Open House - What is a Coach? FREE 7 Day Clean Eating Group!